Regrettably, making and keeping friends isn’t always easy for people with Asperger’s (high-functioning autism). Meeting new people is often overwhelming for these individuals. But, with some effort and willingness to step outside of their comfort zone, “Aspies” can indeed make - and keep - friends. 1. 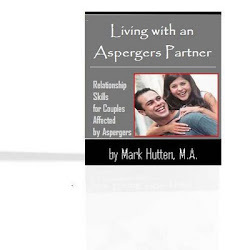 For the Aspie who likes a specific topic, he/she should try searching for a location where he/she can meet people who share that interest (e.g., attending a church, Mosque, temple or other house of worship; joining a club, such as a science club; joining a band or choir; volunteering time at a local nursing home, hospital, or a non-profit organization). 2. Aspies can join a club or go to church, but they still won't make friends if they don't actually talk to others. By the same token, they don't have to be involved with an organization to be social. 3. If Aspies have an unfriendly facial expression or body language, people are less likely to be receptive to their friendship. Squinting, looking bored, frowning, or folding one’s arms practically scream "don't talk to me." Such habits make Aspies look troubled or disinterested. Looking the person in the eye when he or she is speaking - and offering a warm, friendly smile - goes a long way in getting the other person to feel comfortable. 4. Learn a few “conversation-starters.” For example, give a compliment ("That's a nice car" or "I like your tennis shoes"), make a request for help ("If you have a minute, can you help me carry a few boxes?" or "Can you help me decide which one of these is a better gift for my girlfriend? "), or try making a comment about the weather ("At least it's not snowing like last week!"). 5. Introducing one’s self at the end of a conversation is another great way to be friendly. It can be as simple as saying, "Oh, by the way, my name is John". Once one introduces himself or herself, the other person will usually do the same. Also, try to remember that person’s name. As one 28-year-old female Aspies stated, “When I show that I remembered things from my past conversation with the other person, it kind of makes me look intelligent, and the other person knows that I was paying attention and am willing to be a friend.